Hey guys, it’s been a while since I last posted on here. The last two months have been rather hectic, I actually started a new job which is a bit more demanding than the last one so I don’t have as much time or energy to post, but now that I’ve settled in I hope to be writing a lot more. Being an oily/combination skinned girl I find it very difficult to find sunblocks that don’t leave my skin greasy, uncomfortable and with a white cast. I recently received this sunblock as a sample and after trying it I had to buy the full size. The full size cost £22 from Amazon for a 100ml bottle. This sunblock contains ingredients that physically block the sun (UVA and UVB), its active ingredients are Zinc Oxide and Titanium Dioxide. 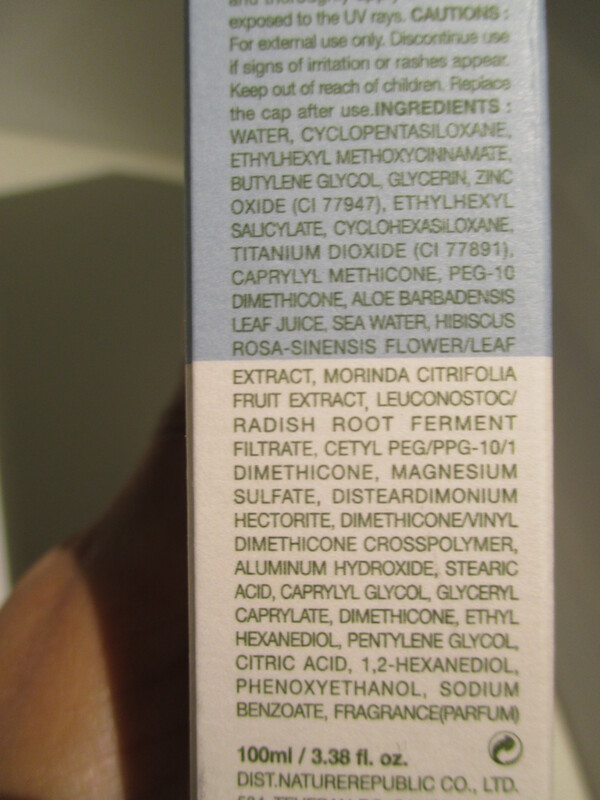 I always opt for these ingredients as opposed to chemical sunscreens. The sunblock factor is SPF 50 which means it is intended for use during periods of long exposure to the sun. It is also PA+++ meaning it has the highest protection against harmful UVA rays. The only ingredient which may raise concern is Aluminium Hydroxide, whilst there is no evidence to show it is toxic, some may prefer not to use this on their skin. 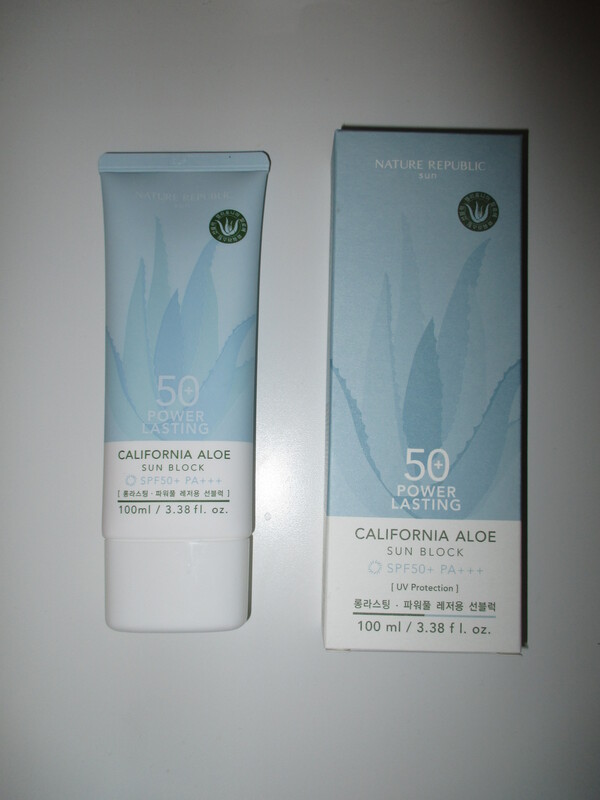 The first thing I noticed about this cream upon opening the seal was the smell, it has a fresh aloe fragrance which fades after about 10 minutes on the skin. The cream itself has a thick consistency which spreads easily. Once massaged into the skin the initial white cast disappears completely even on my deep tanned skin. The cream feels moisturising but has a semi-matte finish once it dries, which is perfect for those really hot and sweaty summer days. Overall I am very impressed with this cream, it has a high SPF and PA rating, ideal for summer use. It doesn’t leave any white cast and it leaves the drier than any other SPF creams I have used before which makes it a perfect make-up base. I would recommend this for anyone with non-sensitive, non-acne prone, oily skin.